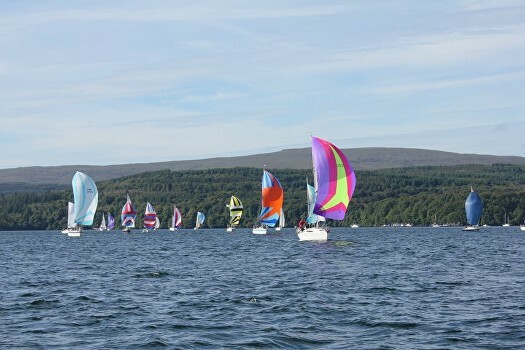 Oban Sailing Club's Round Mull Race takes place this year over the weekend of 29th June - 1st July. Entries are still open for the popular Round Mull Race which is open to all monohull yachts with a CYCA handicap. 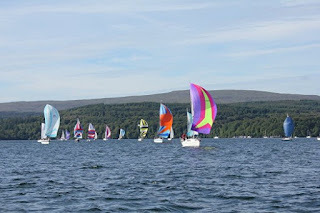 After a seafood buffet at Oban Sailing Club on the Thursday night, the the race follows the well established route, setting off from Oban at 1200 on Friday 29th June, racing a distance of just over 24 nautical miles to Tobermory. Friday evening's prize giving will take place in MacGoshans. Saturday will see the race set off at 0900 for Bunessan, at the end of which the evening's entertainment will be at the local Bunessan Hall. The 41 nautical mile final leg will depart Bunessan at 0830 on Sunday 1st July, negotiating the Torran Rocks off the Ross of Mull, before arriving back in Oban.